If you’ve ever taken a CPR class, chances are you’ve come face-to-face with her. But did you know that not only does she have a name…she also has a pretty fascinating history? 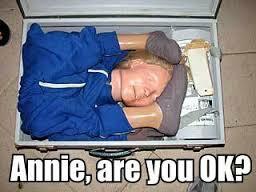 Yes, we’re talking about Resuscitation Annie. The familiar faced manikin has helped teach CPR to thousands of participants since she was first created in the 1950s by toymaker Asmund Laerdal. While there has been some debate over Annie’s origins, the most accepted version of the story is that her face was modeled after an unknown French girl who drowned in Paris in the 19th century. Since her identity was a mystery, a “death mask” of her face was created and the story of the girl and how she died became a bit of a legend. Realistic CPR Training Makes a Big Difference! The popularity of her face later inspired Laerdal to use her features for the first realistic CPR training aid. He believed that a model that was as lifelike and recognizable as possible would motivate CPR students to take their training more seriously. Now, Resuscitation Annie, Baby Annie, and her male counterpart, Andy, have become popular standbys in CPR training classes. Though the identity of the young girl who drowned in the River Seine was never discovered, her legacy has likely helped save countless lives. 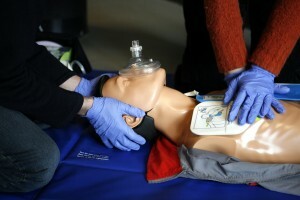 Get CPR Training in Richmond & Raleigh! We offer a range of CPR training classes for medical professionals, CPR trainers, a regular folks that want to learn how to perform CPR correctly. We also travel to businesses, schools, factories, and a range of facilities to provide on-site group training sessions. Contact us to learn more about our classes or to schedule a CPR Training session today!